FANBOY PLANET.com . : rb-FanboyOnKickstarter :. For those new to the concept, Kickstarter is a great social and commercial experience where companies turn to the general public to provide the funds needed to turn their product ideas into real products. Typically donors will reap rewards, which are typically the product itself and often additional "stretch goal rewards" that won't be available in the product eventually made available to the general public. Funding Kickstarter projects can be fun, instructive, and even rewarding. I'm Ric Bretschneider, Fanboy Planet staff writer and podcast producer. I've funded over 150 Kickstarter products in all but two of the twelve areas on the site. As a big fanboy myself, I focus in the areas that appeal to my kind: comics, games, gadgets and media. In this series of Fanboy on Kickstarter articles, it's my goal to clue you into some of the prime Kickstarter Fanboy opportunities. And of course, if you have anything you've noticed on Kickstarter that you think we should investigate, let me know and I'll pass that along to the rest of our clan. Note: For simplicity's sake, these articles will typically refer to delivery conditions and pricing within the US. Most Kickstarter projects handle world-wide delivery, which you can review on the individual project pages. This week, we've got two mature Kickstarter projects to look at, both will fund within the next two weeks on March 13th and 15th, prime opportunities for you to jump on board. Summary Steam download for Macintosh and Windows computers. Gothic roguelike RPG about the psychological stresses of adventuring. Funding Status Current funding at $227,000 of $75,000 goal. Over 300% of goal. Halfway through stretch goals, which top out at $500,000. Old school RPG with very cool graphics and a cool twist on the emotional state of team members. Minimalist animation with a cinematic air that strikes a real nostalgic cord while keeping it looking new and fresh. And you can't beat that price. 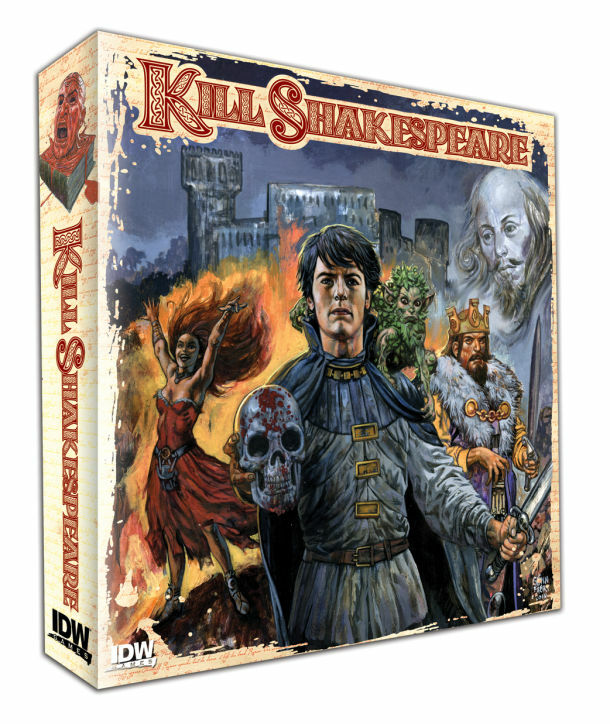 Summary Pick one of Shakespeare’s greatest heroes and battle his villains in this semi-cooperative board game. The game play’s the thing! Funding Status $29,000 of $25,000 goal, they're funded. Potentially hurt by few earlybird discounts and only a $10 discount off the suggested retail price and only two, somewhat weak stretch goals. IDW publishing's initial break into boardgames, based on Anthony Del Col and Conor McCreery's dream for the comic and board game. IDW is also working on a 30 Days of Night game, details not yet available. If you're a regular listener to the Fanboy Planet Podcast, you've heard us gush over the Kill Shakespeare comic book and graphic novels. 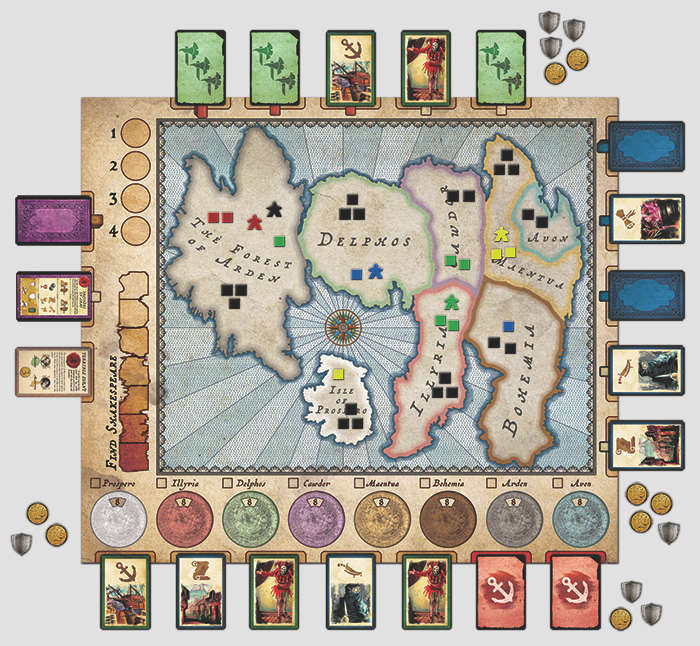 A board game here seems a natural, and this semi-collaborative, semi-competitive board game looks like it has enough interesting tactics and strategy to entertain both fans and folks new to the story. While the pricing is a little higher than we'd expect, with somewhat meager stretch goals, and higher pledge levels that are not all that compelling, we're still excited about this Kickstarter, which itself speaks volumes! That's it for this month. Again, send us your feedback and your own Kickstarter picks via the Fanboy Planet Facebook page!